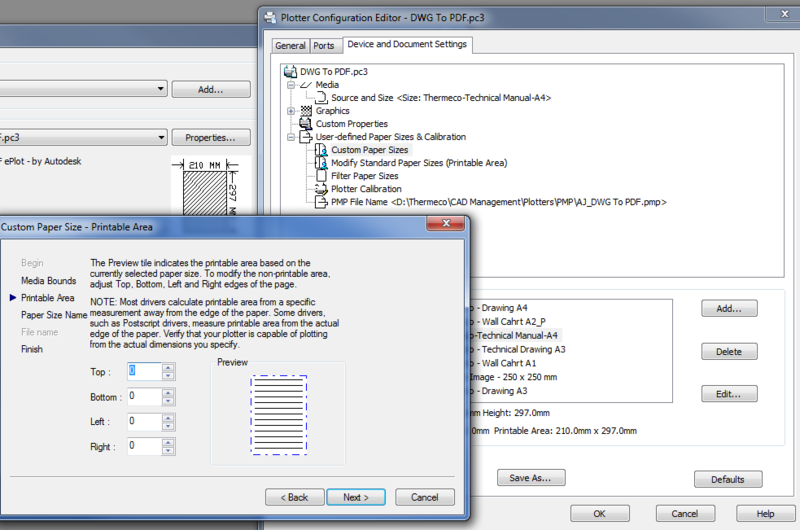 I have gone to the properties to change the printable area on a custom paper by right-clicking on a layout tab -> Plot. After this, to make these changes happen I need to click on "Apply to Layout". Is there any way to apply these changes to all layouts at once? If I publish the layouts, the changes applied automatically in the background. Click on the button that says "<None>" top left you can import a setting or if its the last one plotted choose "previous" may help a bit, saves entering all the boxes. I'd start by saving the Page Setup then applying it to the other layouts. Chances are you will need to use it again.